My kitchen blender dramas have been well documented, but if you missed the various rants, in short at the end of last year both my immersion hand blender and mini-food processor went on to the big kitchen in the sky. As a result, for a little while I was without any way to make drinks, soups, spreads and cheesecake. First world problem? Yes, of course. But I do live in a first world country, and we do like our weekend smoothies. In any case, KitchenAid was kind enough to send me a hand blender to try out when mine died and boy did I give it a work out over the past few months. In addition to all my blending issues being solved, I now have one to giveaway so yours could be too! The KitchenAid Artisan Deluxe Hand Blender is a pretty good little tool. The 5-speed grip not only clicks into an immersion stick blender, a chopper and a whisk, but the stick has 3 separate stainless steel bell-blade attachments for all different uses. Immersion blender is stronger than expected. While making a smoothie with frozen bananas and ice cubes I thought it wasn’t really blending – then I realised the entire mixture was smooth already. It made quick work of hummus and I’ll be putting it through its paces soon enough with some Vegan Chocolate Ice Cream. The blender jug and chopper bowl have a rubber ring around the base so they don’t move around – I love this feature. They are BPA free too. Blender jug has a lid that the bell blade fits through for splash protection. A guard for the bell-blades clip-on to protect your pans if pureeing straight from the stove. Pretty much everything twists apart for easy cleaning. The chopper is a chopper not a food processor – the smaller blade is perfect for chopping nuts, breadcrumbs, eggs and herbs but for thicker things like hummus and large amounts of liquid keep with the immersion stick blender. You have to match up the arrows to get the stick to click into the grip properly – an art director somewhere made the arrows as light as possible as to not distract from the overall design but they can be a bit hard to see in a poorly lit kitchen. I have a poorly lit kitchen. Once you know where they are it isn’t an issue however. There are some plastic parts, but the important components like the bells and blades are all metal. UPDATE the giveaway has now ended – congratulations to Terese from Tasmania – I hope you enjoy your new hand blender! Giveaway open to readers with an Australian mailing address. If you win and want to give it to your mother for Mother’s Day, major brownie points for you; if you want to keep it for yourself, go right ahead! Winner will be selected from the best answer in the comments about what you would make first if you won. And before I go I’ll leave you with a quick recipe for a great twist on hummus, you could of course make it with this hand blender [see what I did there]. It may have been spread over pretty much everything I ate for weeks. 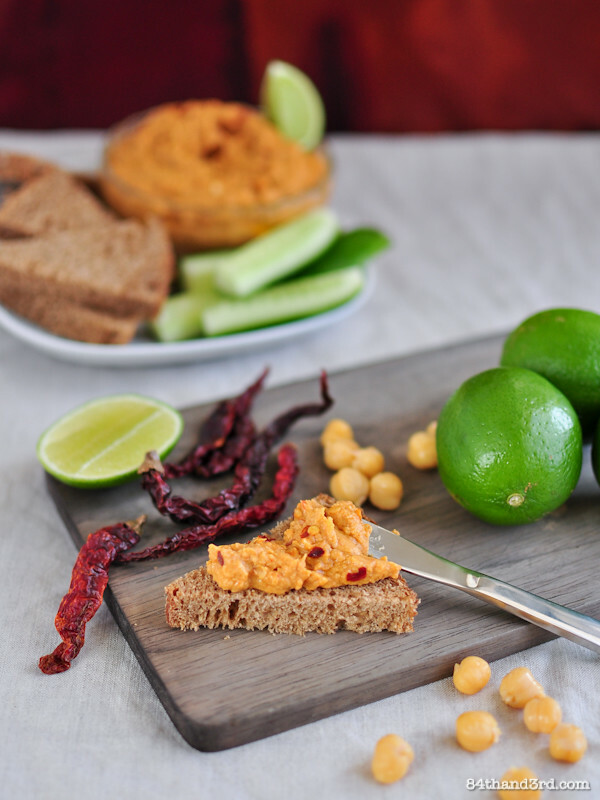 The round warm spiciness of dried chillies combined with smokey tahini and sour lime juice makes for a stunning twist on classic hummus. Pour boiling water over chillies, set aside to soften 10 mins. Drain and reserve soaking water, remove stems from chillies. Puree all ingredients, adding a bit of the chili soaking water to make a smoother puree if necessary. Garnish with chili flakes, lime wedges and a drizzle of olive oil. Dip, spread and top whatever you wish. Chilies: I somehow ended up with a huge bag of dried red chilies from an Asian grocery store, oops. They aren’t overly hot so I used quite a few but add them slowly to control the heat. I also slit them down the middle and scraped out most of the seeds before blending. If you don’t have dried chilies feel free to use fresh or roasted ones. 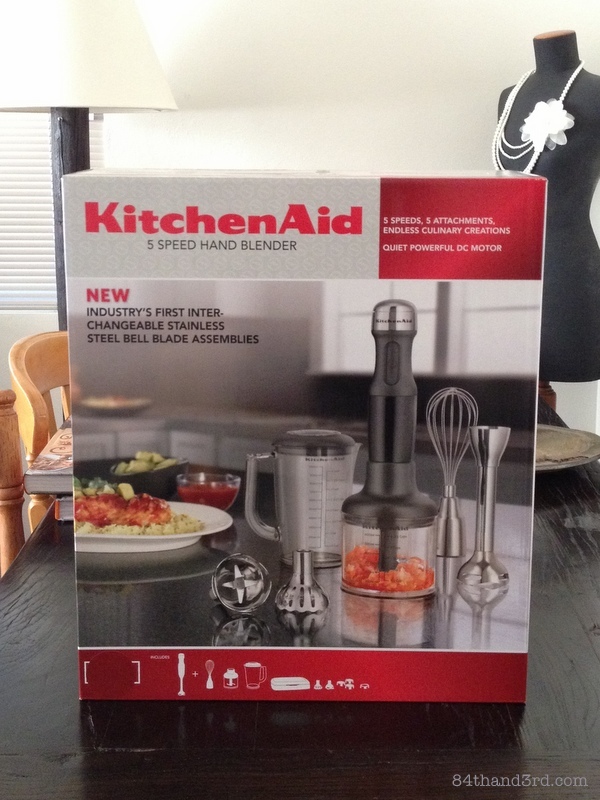 Thanks to KitchenAid Australia/New Zealand for the giveaway. 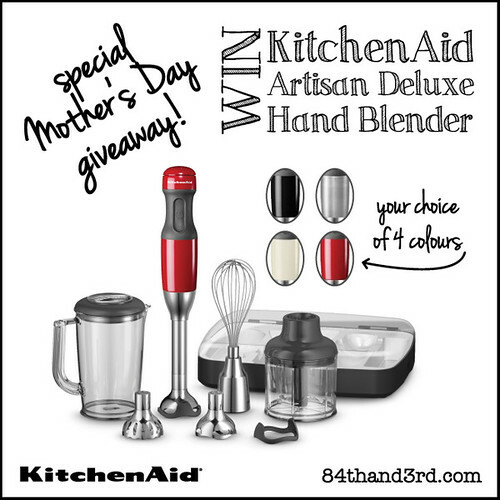 The KitchenAid Artisan Deluxe Hand Blender retails for AU $249.00 and is in stores from this month. 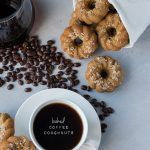 Don’t forget to sign up to the KitchenAid Top Table monthly newsletter for recipes, product information and local demo locations. 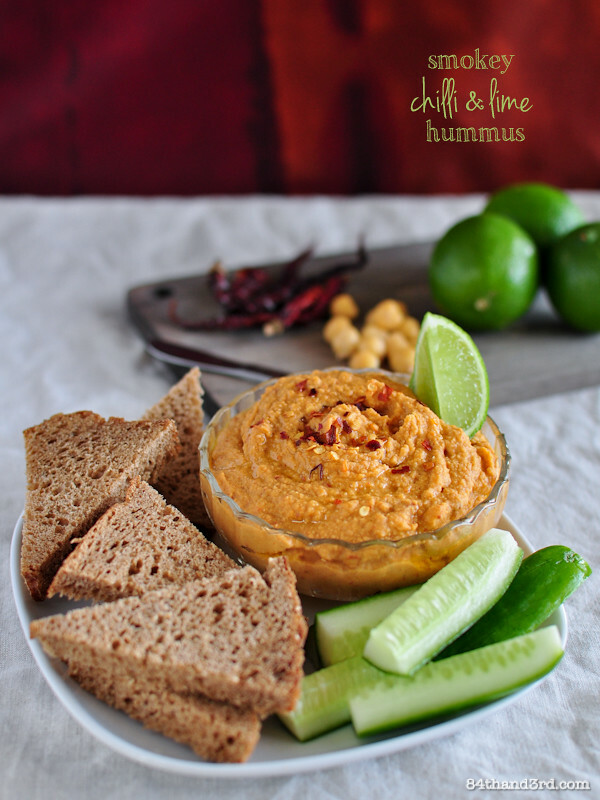 this hummus looks amazing, ive been into making dips and purees with flatbread and crackers lately! and i would love this blender as mine was officially certified dead last night when i poured all my ingredients into it and it wouldn’t move! grrr! What to make first? I like the ‘go faster red’ KitchenAid so I would matchy-match with a raspberry cheesecake or maybe a red capsicum macadamia dip. I’ve wanted a stick blender for ages, but been worried about their power. The KitchenAi Artisan Deluxe hand blender sounds excellent. 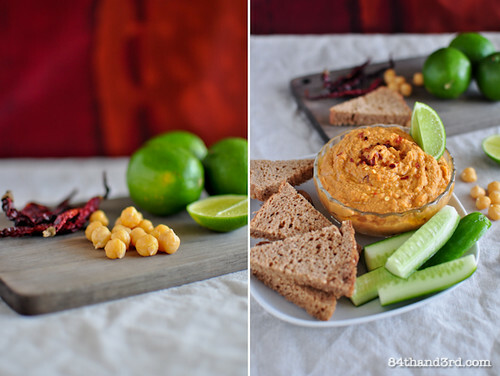 If i won this I would have to make this amazing chilli and lime hummus. It looks healthy and tasty! The temperatures are cooling and that leaves me with a hankering for soup! (and, better yet, soup that I don’t have to precariously tip into a blender, and then tip back out again, in batches, for that velvety finish). I can only justice hoe useful this little gadget would be for that. I keep a range of chilli sauces in the fridge so I would start mincing the chilli/spice paste with the KitchenAid handblender! I’d start off with a creamy coffee smoothie. Then I’d probably pulverize some fresh bread crumbs, just for good measure. I would make a delicious tomato basil soup! I eat hummus daily, love the flavors you combined here! The fist thing that I’d make is homemade mayonnaise with fresh eggs because it’s a versatile base for salad dressings, dips, sauces and sandwich spread. I adore hummus. It is one of the cornerstones of my diet! Thefirst thing I would make is this hummus. 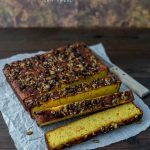 It looks like such a tasty variation! This little beauty would be a much welcomed addition to my kitchen. 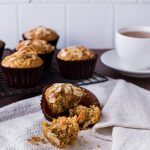 The very first thing I would make is pesto – I always like to have it on hand as it is a family favourite closely followed by your delicious looking hummus. 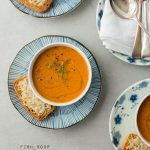 I’d make a pureed vegetable soup for sure– maybe asparagus soup! I would love to make a tomato and olive tapenade. i’m yet to find a brand i like so it would be awesome to make it myself! Loving all these recipe ideas! p.s. i forgot to say the hummus looked delicious! If I won this amazing little blender, I’d be making guacamole every day! love hummus, this looks like an awsome flavor to try! I would whip up a lovely, spicy black bean dip to nosh on with pita chips. Creamy creamy noochy broccoli soup. I love smokey hummus it’s one of the stables in our household though I’ve never added chilli before. My next girls night I’ll definitely be giving this recipe a whirl. Thanks so much JJ! First of all, let me say that I enjoy you blog and most especially your pics on IG! ? Anyway, I was looking forward to having a chance to win your free blender/mixer but now bummed that it’s only open if you have an Australian address….which I don’t have! ???????? like you, I have a dilemma on what blender to get. Got a gift of two different brands in the past three years but each has broke and had not lived up to my expectations! I’ve never (and i mean, Never!) owned a KitchenAid mixer/blender as they usually cost more than my budget could afford! **sigh** I guess I would have to wait for another chance to have one! To all who entered, goodluck and to whoever WINs, happy mixing/blending in your new KitchenAid! ???? Oh, IF I win this KitchenAid, I can’t wait to make the Guacamole Pico de Gallo (for snack)&/or the Basil & Pesto (for lunch). I want to make my own sauces and dips such as raw applesauce and spicy ginger hummus. My current food processor is a pain to cleanup and it is permanently attached to a blender, very odd contraption — I need to think about upgrading! Guacamole! mmmm Then I’d have a mexican fiesta. 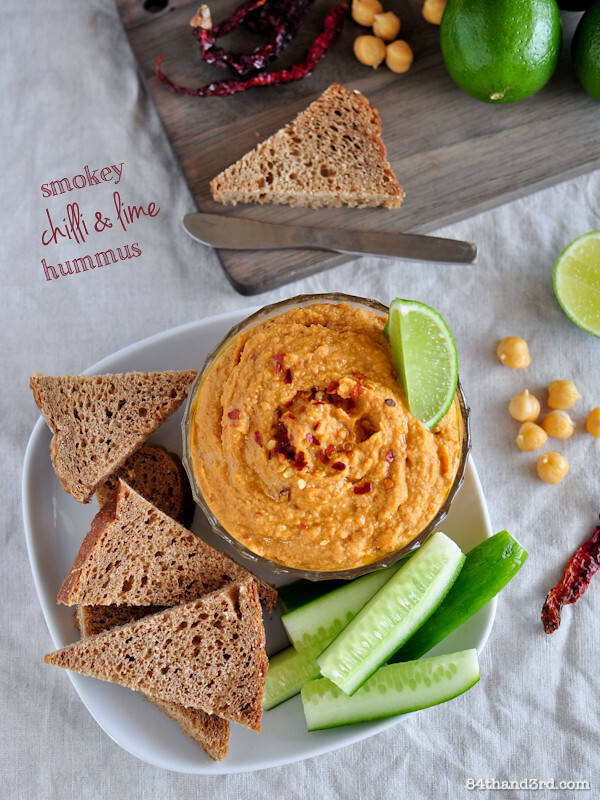 I was going to suggest my favourite pumpkin hummus until I read the smokey chili & lime hummus recipe which sounds divine! I’d also use the blending stick to whip up some south of the border ancho chili infused black bean soup. Real coffee flavour. Always lusting. Using the Turbopro Stick whipping cream and grinding FRESH coffee beans! Well, I’d probably start off with this gorgeous hummus! I’m so excited to make this! My hand blender just broke.. I would make this, my morning porridge/smoothie sorbets and cake and some nice vegan ice cream. I’d use it every day probably many times a day. I always want to blend soup while it is still in the pot! I’d love to make mashed potatoes! I would make pea soup in a heart beat. I just made this hummus it is great! I used my vitamix but then had to scrape the blades and clean it out. I could make smoothies and hummus without the dreaded clean up! I would make some summer salsa! I’d make a nice smoked salmon dip, yummy!! I have seen these or something similar being used on My Kitchen Rules, I think they are brilliant, definitely on my wish list now! I want that hummus right now! I would add rosemary instead of the hot peppers. Hi, If I had the kitchenAid Artisan I would make a simple tomato sauce by processing some whole tomatoes, then I would cook my sauce and then I would make some fresh pesto with whole walnuts to accompany my sauce all thrown together with yummy fresh pasta. My children would also eat this with so much gusto! We also would take advantage of the KitchenAid to make hummus. We currently make it a few times a week and spread it on bread avoiding butter! Thanks! I would make chili hummus! If I won the KitchenAid Artisan Deluxe Hand Blender, the first thing I would make is a huge batch of quality passata. I am pregnant and craving lasagne like crazy! I have been meaning to make some macadamia butter but my hand mixer that I got when my now 5 year old was born is about to go to that same kitchen in the sky so I have been too scared to!